This study examined concurrent and prospective associations between attentional biases for emotional images and relapse to depression. Previously depressed (n = 121) and never depressed (n = 28) women completed an eye-tracking task to measure attentional biases for emotional images (face images and naturalistic images) and were then followed for 6 months to assess for relapse to depression. Participants returned for a follow-up session that included the eye-tracking task after a relapse or after 6 months. 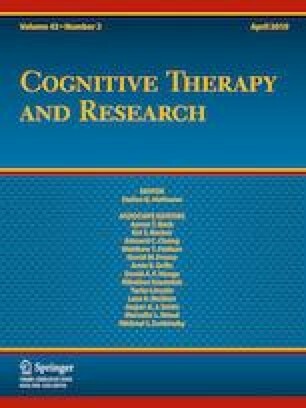 Previously depressed women who experienced a relapse to depression during the study period showed the hypothesized pattern of decreased attention to positive images and increased attention to negative images, relative to previously depressed women who did not experience a relapse and never depressed women. This was true at the initial visit for naturalistic images and at the follow-up visit for both face and naturalistic images. Women who relapsed had greater attentional biases for some image types at the follow-up visit (when in a state of relapse) than the initial visit (when in a state of remission). Contrary to hypothesis, non-relapsed previously depressed women did not exhibit attentional biases for emotional images relative to never depressed women. Reduced attention to positive images prospectively predicted relapse to depression among the previously depressed women. The results clarify how attentional biases manifest and change from a remitted to relapsed state and provide preliminary evidence for reduced attention to positive information as a risk factor for depression recurrence. We thank two anonymous reviewers for their excellent feedback and suggestions. This research was supported by the Canadian Institutes of Health Research (CIHR) and the Natural Sciences and Engineering Council of Canada (NSERC). Kristin Newman, Leanne Quigley, Amanda Fernandez, Keith Dobson, and Christopher Sears declare that they have no conflict of interest. This research was approved by the authors’ institutional research ethics board (the Conjoint Faculties Research Ethics Board at the University of Calgary). Informed consent was obtained from all the individuals participating in the study.